Improving Our Community, One Dish at a Time: Community Dish offers prepared frozen dishes of your favorite Junior League cookbook recipes. Please Note: The JLB is currently evaluating the Community Dish fundraiser; therefore, we are not stocked with casseroles at this time. We will make an announcement once they are back in stock. 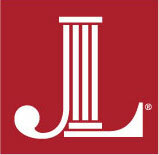 Call JLB Headquarters at (205) 879-9861 to check on availability. Currently, each recipe is prepared from our award-winning cookbooks and professionally prepared by chefs at B & A Warehouse. Dishes are $17 or three for $48. JLB Members: Purchase SIX (6) Community Dish entrees in one transaction and receive a Credit Opportunity! Community Dish items in inventory can be picked up and purchased at JLB Headquarters during regular hours (Monday – Friday from 8 a.m. – 4 p.m.). Proceeds from Community Dish benefit the JLB’s community projects. Pick up your Community Dish today! Have dinner tonight and improve the community one dish at a time!